Seeing London on foot is definitely the best way to enjoy everything this city has to offer. But once you’ve pounded the pavements, it’s a good idea to enjoy any of a number of London boat tours along the River Thames and experience the city in a different way! For centuries, London grew and operated around the Thames, and travelling the river was actually the fastest way to get through London when many of the city’s streets were congested with horses, carts, and sewage. Many buildings that line the river today were actually constructed to be viewed from the river itself – so be sure to make a river cruise part of your trip to London and get yourself a whole new view of our beautiful city. 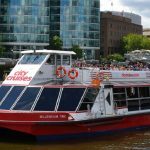 Dominating the London Boat market for years, City Cruises is probably the best well known – and best value for money – when it comes to a simple Thames cruise. City Cruises runs a hop-on, hop-off service between Westminster and Greenwich – providing live commentary with every journey. Guests can sit on the open-aired top of the boat, or hunker downstairs if the London weather gets a bit intense! Though not hop-on, hop-off cruise, Thames River Services offers a huge variety of sightseeing tours that cover different highlights along the river. Prices and the length of the trip vary depending on what route you select. Guests have the option to pay for a one-way or round trip fare. Escape the crowds and discover London from the river Thames on a relaxing river cruise. With its rich history and iconic landmarks, including the Houses of Parliament and Tower Bridge, it’s a great way to see London from a different perspective. There are a variety of river tours available to suit all tastes, including sightseeing trips with commentaries, themed cruises and dining experiences. 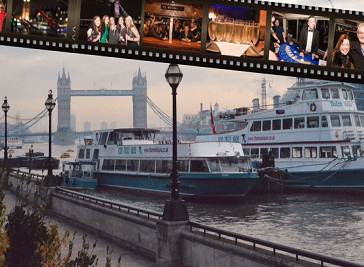 Specialists in Thames boat hire for office parties, birthday parties every other type of celebration or event, Thames Leisure provide superior one-stop-shop event management for all occasions and Thames river cruises.